Goodbye goopy impression materials! Drs. 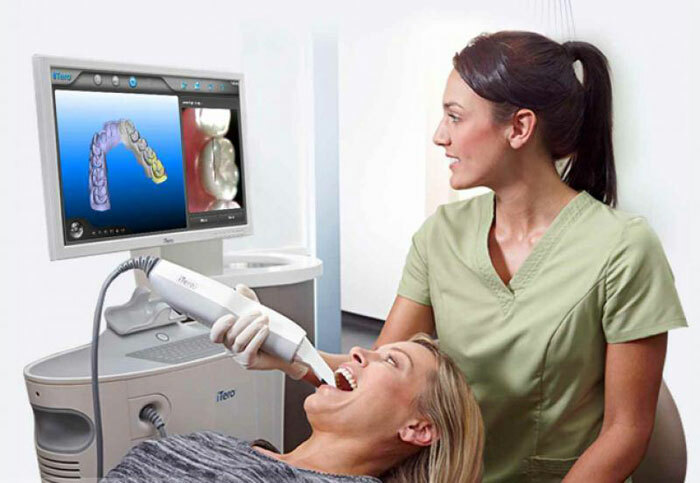 Snider & Margolian Dentistry proudly uses one of the most advanced 3D oral scanners on the market to take a digital impression of our patients’ teeth and bite. This radiation-free laser creates a perfect duplicate of your mouth, which is then sent to the lab technicians to make a precise fitting restoration. The scans are used to make crowns, bridges,implant restorations and for Invisalign treatments. Unlike traditional impressions, there is no distortion in the digital scans,enabling the lab to fabricate better fitting and more accurate restorations. We are proud to be one of a select few practices in Canada that has adopted the iTerodigital impression technology system. By using iTero impressions, we create a better experience for you. Any discomfort from traditional impressions is eliminated. We are able to maximize the fit of your restorations. We achieve superior fitting prosthetics with little or no adjustments.